Fees associated with filing patent applications in Finland as well as other patent fees are available in the fee calculator. The term for filing a patent application in Finland claiming conventional priority is 12 months from the date of priority. In case this term is expired, the patent application in Finland still may be filed with restoration within 16 months from the earliest priority date. To obtain a filing date, a patent application in Finland must contain the description together with drawings where necessary and one or more claims, and preferably an abstract (in Finnish or English). The inventor's name must be stated. When the applicant is not the inventor, the applicant shall be required to prove his title to the invention. The official language of a patent application is Finnish. The application materials may also be filed in English. However, the Finnish translation of the abstract and claims must be provided within 18 months from the date of filing. The submission of the priority document is not obligatory, but may be requested by the Patent Office. The translation into Finnish is not required. The POA is not obligatory but may be requested by the Patent Office. A copy is sufficient. The substantive examination of the patent application in Finland is conducted automatically, and no specific request must be filed. The term for payment the official grant fee is two months from the Office Notification. The first annuity should be paid at the end of the second application year. Six months from disclosure of information about the invention before the filing of the application or priority date thereof, in case of claimed priority, does not disprove the novelty of the invention according to the Finnish legislation. 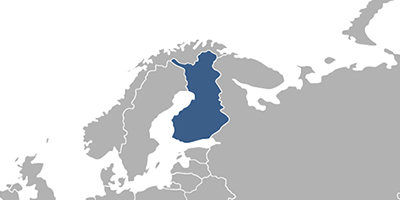 For foreign patent applicants, it is necessary to perform patent prosecution in Finland through an agent having a domicile within the European Economic Area. 1. Online Search Databases: Finnish Patents and Utility Models, European Patents (EPO). 2. The patent protection in Finland may be obtained via European patent and its further validation in Finland. 3. Inventions may also be protected as utility models in Finland.